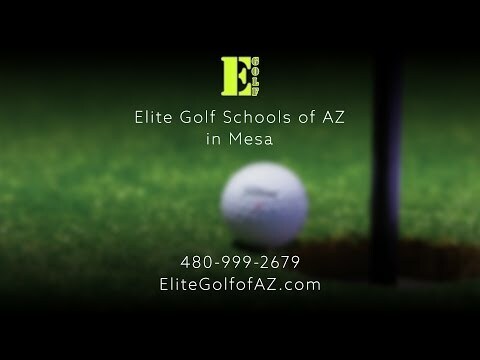 Elite Golf Schools of Arizona offers a number of golf programs to help juniors of all ages improve their skill and get more out of the game. Our developmental programs aid in laying the groundwork for those players who are just beginning and are working their way up to competitive golf while our advanced programs provide every tool necessary for players who are looking to improve their competitive advantage and hopefully play in college. What is the Junior Champions Program? The Junior Champions golf program is designed to simulate high level D1 college golf programs around the country. Students in this program are dedicated to becoming their best, and instruction is designed to help them make dramatic gains quickly. The junior golf coaching program provides intensive instruction while also demanding dedication from those enrolled. Students will be put on a rigorous work out and nutrition plan. Players enrolled in this program will also be training a minimum of 15 hours a week throughout the year. This includes course time and tournament play. The biggest benefit of the Junior Champions golf program is that you will be working with former professionals and past collegiate players who will use their knowledge, experience, and skills to help you become the very best golfer you can be. Those enrolled in the Junior Champions golf program also receive discounts from Nike and PING Golf. Participants will also be granted access to sports psychologists and certified physical trainers. Guest speakers will also frequent the program who are either currently playing or have played PGA Tour, LPGA Tour, Web.com Tour, Symetra Tour and other tours around the world. Finally, the program will include team bonding and competitive experiences. Junior Champions (while accompanied by their coaches) travel together to tournaments, and they participate in team building exercises and trips. The JC team also travel to seminars at local colleges. This program doesn’t only stress intensive practice to improve physical skill – it provides an all-encompassing education relative to golf at the university-level and the life of professional golf. How do I join Junior Champions? The program is open to only the most serious junior golfers, and these requirements test that commitment. How much time do junior golfers need to commit? Junior golfers must fully commit to the process of becoming a champion. This process takes numerous repetitions and a commitment to themselves and their coaches. Our program requires that junior golfers spend at least 15 hours a week practicing and training. This amount of time includes junior golf coaching, course work, and time competing in tournaments. We also require that our junior golfers follow a work out plan that will be set-up for them inside and outside of the program. The application process is quite simple. Once you know that you’ve met the qualifications, you must fill-out our online application. You will be asked questions in regards to how long you’ve been playing, your scoring average, highlights from the tournaments you’ve played, and any awards you’ve received. We’ll also ask you about your goals for the program and why you think you’d be a good fit. Finally, you’ll need to provide a couple of references, such as a former golf coach or a teacher. The Junior Champions golf program helps young golfers become the best they can be. This program is dedicated to each player as long as each player is dedicated to him/herself. Our junior golf academy is one of the best in Arizona. Contact us today to learn more about the program and other junior golf coaching options, or fill out the Junior Champions application now. We’re ready to help you become a champion!